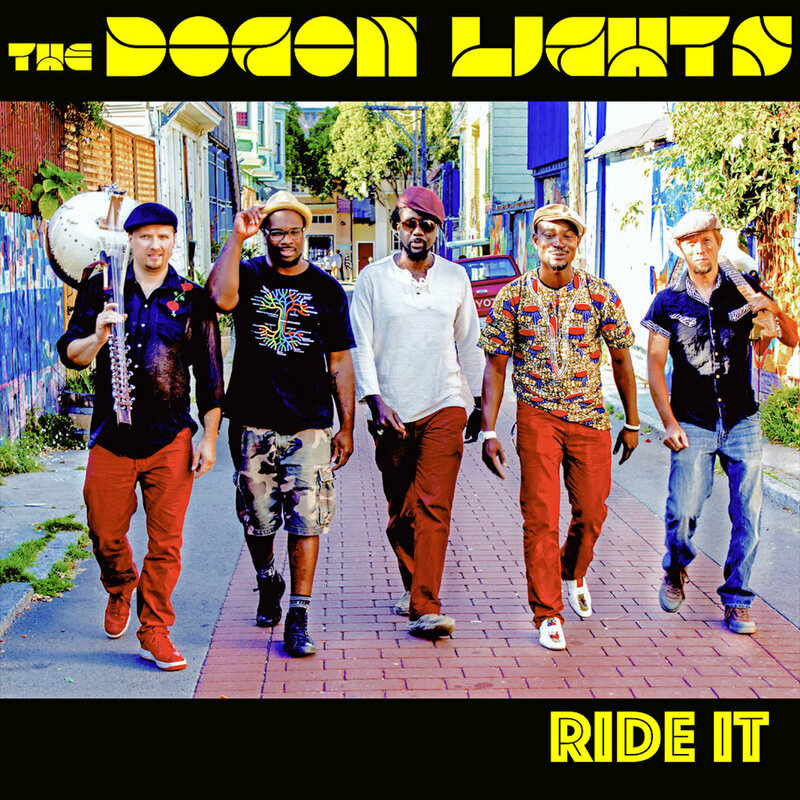 The music of Bay Area based quintet The Dogon Lights is an electrifying amalgamation of an expansive selection of genres that may seem, in theory, unlikely to blend well together. In the skilled hands of the group, however, these disparate ideas come together to form a unique and surprising whole. Gushing with vibrancy and personality, Ride It – the group’s debut – is a thrilling introduction to their style. The music of The Dogon Lights can be best described as a melting pot of the group’s favorite cultures, eras and styles. Though just 9-tracks long, the album is densely packed with the sounds of hip-hop, afrobeat, funk and R&B. Infectious muscular basslines and percussive-ly strummed, Nile Rodger-esque guitars are constants throughout Ride It while exotic instruments like Malian flutes and jaw-harps make regular appearances. As each track proves, catchy hooks are a top priority for the band and when they rap, they do so with a special emphasis on melody. While Adama and Seyewailo are the album’s strongest showcases of the band’s tropical influences, Dragon Rider is a silky alt-R&B track. The Source, meanwhile, is a wailing, guitar-heavy instrumental jam.